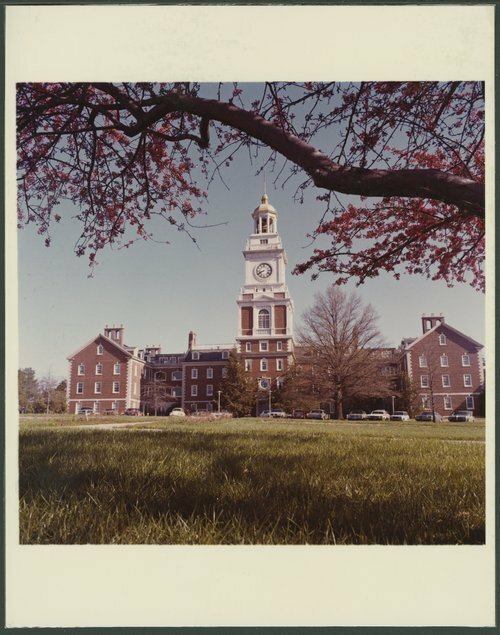 The Tower Building is shown in a colored photograph and the interior of the tower clocks are shown in three black and white photographs. Judy Craig and Red Pratt are examining the works of the clocks. There was a clock in each side of the Tower.